Anyone who is familiar with Joey Hart knows his dad has had a big influence on his coaching career. The senior Hart coached 20 years at Union High School in Dugger and led the Bulldogs to four sectional titles, and had a great run in the 1997 state tournament before losing to eventual-state-champion Bloomington North 62-51 in the Terre Haute Regional championship game. He also won six Greene County Invitational titles while compiling a 291-168 overall record. “Obviously I got into coaching because of my dad,” Hart shared with me earlier this week. “I was basically raised into this. It’s something I always wanted to do. The elder Hart has been on the Linton bench as an assistant since the 2012-13 campaign, the year the Miners advanced to the Class 2A state championship game before losing to Bowman Academy, 86-73. But it was some advice from Joey’s mother, the late Janet Hart, that actually helped him get his first varsity coaching job. The extent of Hart’s coaching experience at the time was one year as the junior varsity coach at Union while he did his student teaching and received his degree from Indiana State University. He had just completed his first and only season of coaching the freshman team at Evansville North High School. “I remember my mom saying, ‘You applied for the Eastern job. Why wouldn’t you apply for the Shakamak job?’ It’s really something that has stuck with me forever,” Hart recalled. Hart enters the Class 2A state championship game against Andrean on Saturday with a 325-186 overall record in his 21st season as a varsity head coach. That ranks him as the 38th winningest active coach in Indiana high school basketball. His Miners take a 27-3 record into the contest at Bankers Life Fieldhouse starting at 12:45 p.m.
Hart spent six years at Shakamak High School, followed by two years as an assistant at Vincennes University and six years as head coach at Turkey Run High School. Hart’s teams ran up against some outstanding individual players and teams during that run that kept them from advancing. Hart wasn’t looking to coach again when the Linton job opened up when Darren Clayton stepped down. Hart added that Linton Athletic Director Charlie Karazsia got his information about five minutes before the deadline. “I think he gave me a courtesy interview,” Hart joked. His first team in 2010-11 went 11-12 and is his only losing record with the Miners. 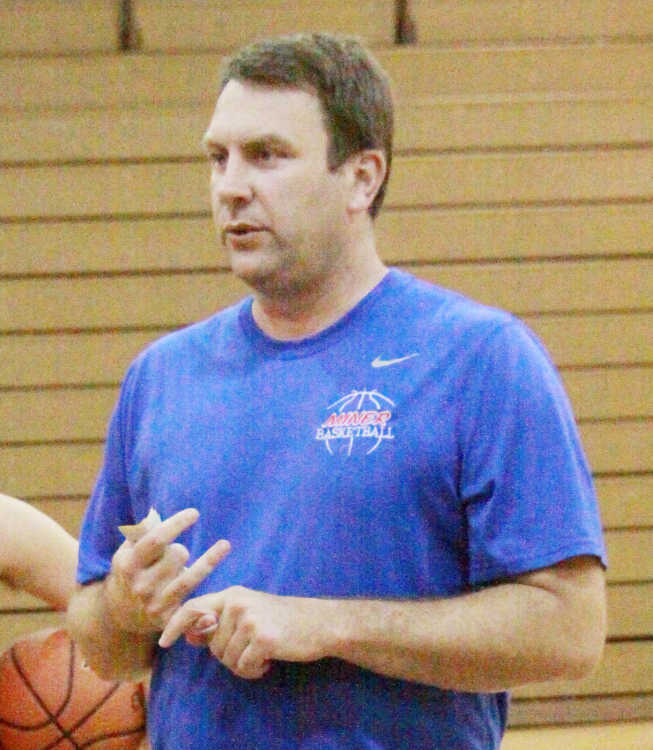 Hart has taken Linton’s basketball program to a new level when some said that couldn’t happen. How many times have you heard this? Linton is a football school. “When I got here I had unbelievable support from Steve (Weber, the football coach) and Matt (Fougerousse, the baseball coach),” Hart said. “Charlie and Nick (Karazsia, the former superintendent) got me the opportunity. But everybody said you couldn’t win because of football. The key to Linton’s success under Hart has been the coach’s ability to use what talent he has available. He doesn’t try to make every team play the same style. “Those first couple of years we had big guys (Austin Karazsia and Dess Fougerousse) who were mobile. We were very hard to play against and scout,” Hart said. “We’ve still tried to do that the last several years. We’ve played many different styles. Hart taught math the first few years at Linton, though has been in the private sector since. He’s currently a business development manager and salesman for Electro Enterprises, Inc. He spends time on the road, and left for Savannah, Ga., early Sunday morning and returned Tuesday. His organizational skills work well for him off the court too. “Austin and Dess’ group changed my career,” Hart said. “This (year’s team) is as hard of working kids as I’ve ever had. And they’re nice kids and very enjoyable to be around. The same could be said for their head coach. Chris is publisher of the Greene County Daily World. He can be reached by email at cpruett79@gmail.com .